Knowing how to use the power of your body and voice can help to reduce conflict and to protect yourself from an assault. 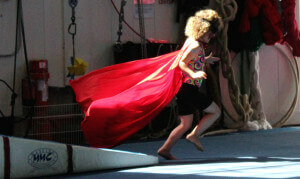 Instead of using fear to teach kids about violence prevention, Kidpower makes it FUN to learn to stay safe. No matter how old or young we are, emotional safety skills can help to reduce a lot of conflict and prevent a lot of suffering – not to mention improving our communications and relationships. 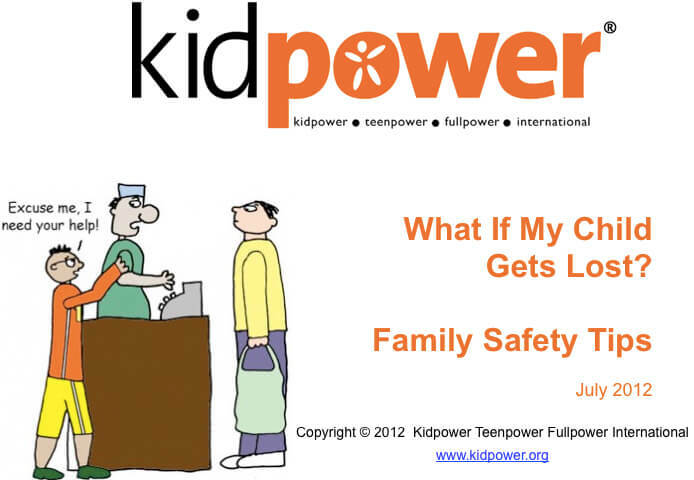 After promoting positive messages widely for over a quarter of a century, we are glad that many safety programs now use Kidpower’s Check First and Stranger Safety language rather than giving children confusing and scary messages like: “Don’t talk to strangers!” and “Stranger Danger!” Believing that the world is full of dangerous people they don’t know and must never talk to does not make kids safer – it just makes them anxious. 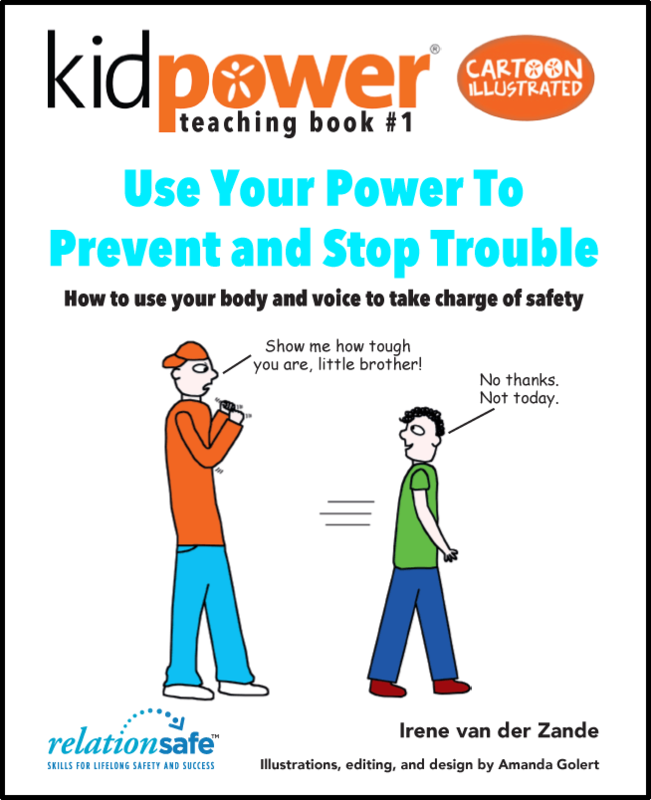 Kidpower’s Positive Practice Teaching Method prepares kids to to handle difficult and potentially dangerous situations in ways that help to increase confidence, reduce worry, and develop competence. When young people understand and have practiced a safety plan for how to get help everywhere they go, they are far more likely to get help sooner rather than later, which can prevent many upsetting or potentially dangerous problems from getting bigger. 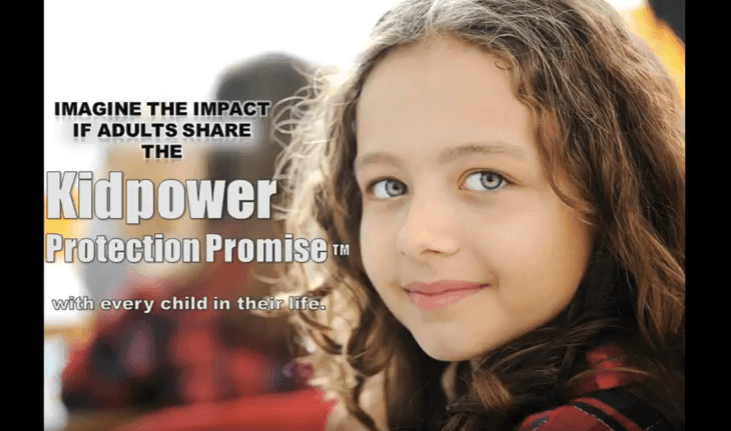 Kidpower’s boundary-setting skills and strategies help to protect kids from most child abuse, bullying, and other violence – and prepare them to develop strong relationships that can enrich their lives. 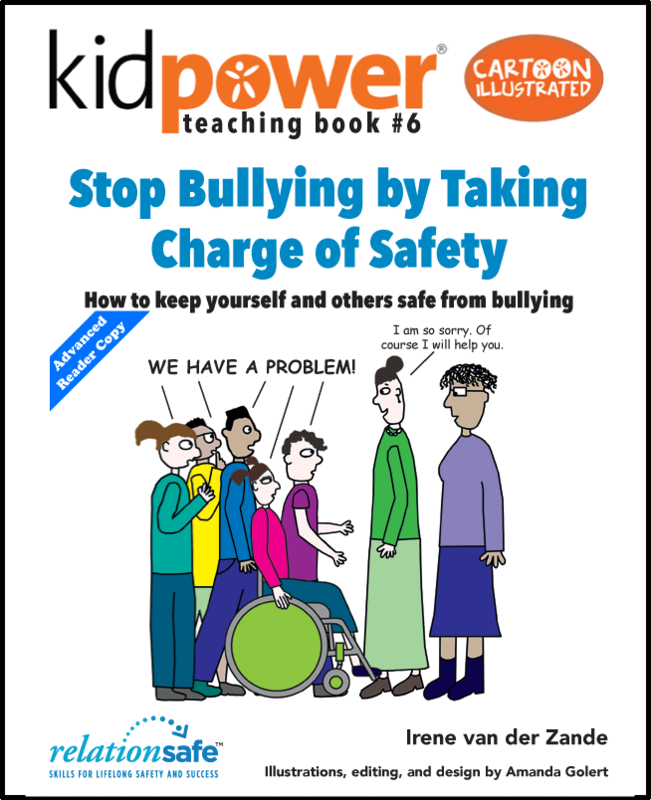 This Advance Reader Edition brings together some of Kidpower’s most requested resources for bullying solutions into one book. Six books! Dozens of Teaching Stories! Lesson plans and Coaching Guides! Over 400 pages of material! 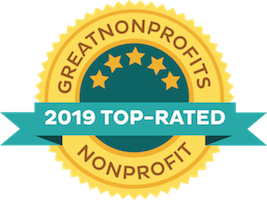 A resource for educators, counselors, law enforcement officials, and other professionals as well as for concerned family members and individuals who want to learn about personal safety. 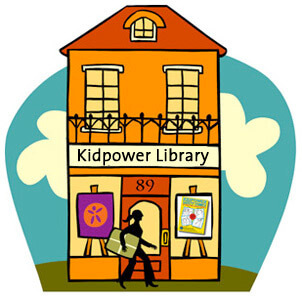 Hundreds of pages of cartoon-illustrated explanations, teaching stories, and directions on how to practice! 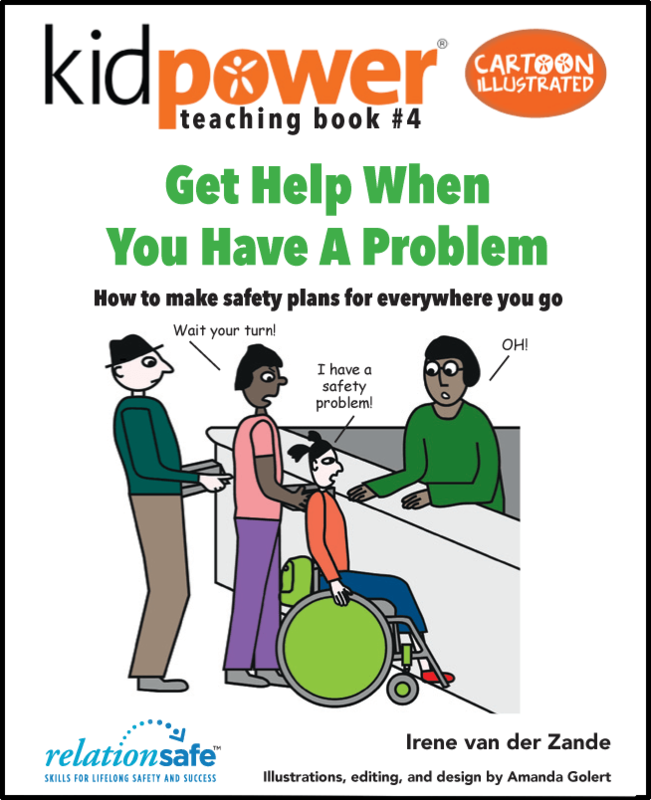 The Fullpower Teaching Books are a set of six manuals using black-and-white cartoons and basic language to explain personal safety concepts and skills to teens and adults. The humorous stories and clear directions make it easy and fun to introduce and practice personal skills in classrooms and other group settings. The situations described are appropriate for teens and adults who are at times out in public independently or home alone. 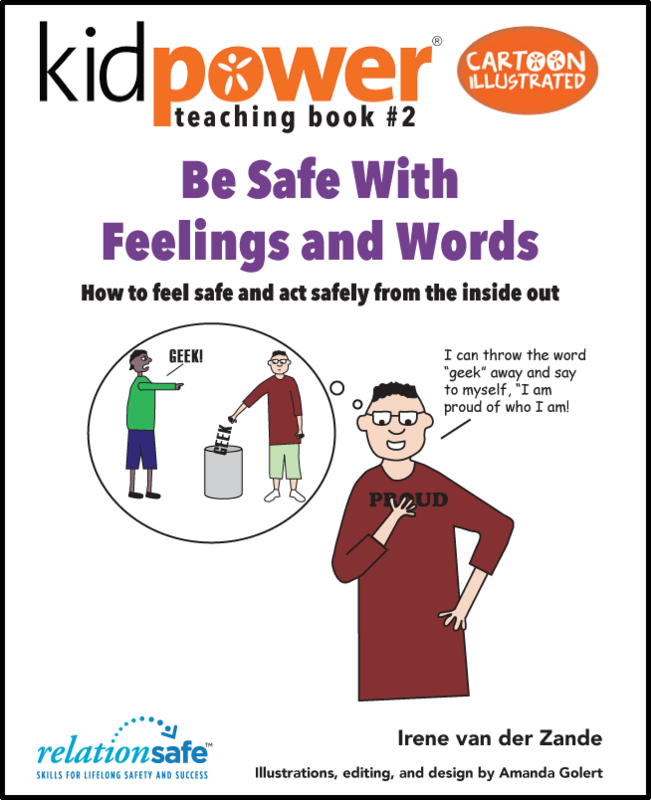 Topics covered include: Safety with Feelings and Words, Being Powerful to be Safe, Safety with Touch and Teasing, Getting Help to be Safe, Checking and Thinking First to be Safe (includes Safety with Strangers) and Using Personal Safety Everywhere You Go – with family, with friends, at home, at school, at work, and in the community (includes bullying prevention). Although no physical self defense is included in this publication, these skills can prepare people to protect themselves from most bullying, harassment, molestation, assault and abduction. The simple explanations and clear drawings were first designed for people with developmental delays or whose first language is not English. However, the concepts and skills have proved to be relevant to teens or adults regardless of their abilities from a wide range of cultures around the world. 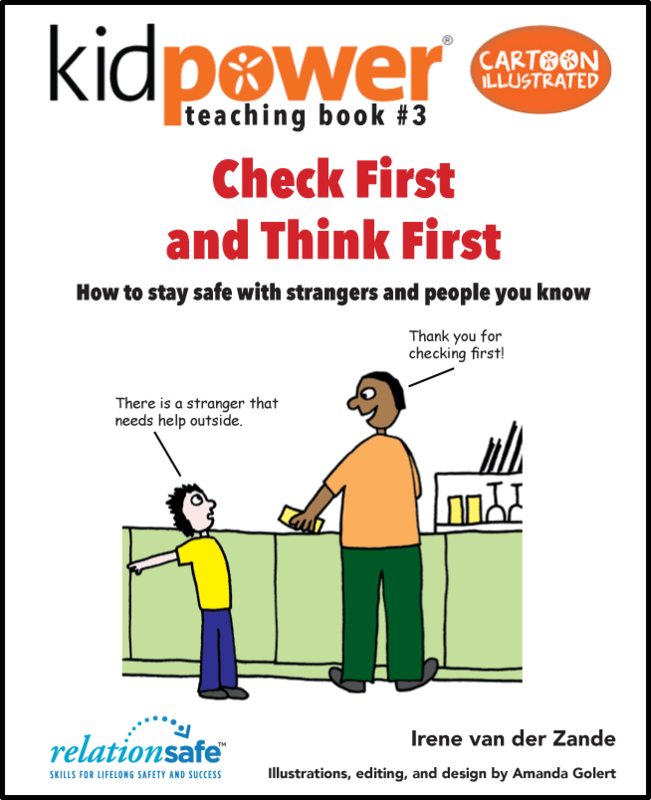 This valuable resource developed by our New Zealand Center includes a programme kit with a teacher’s guide, 3 student workbooks, posters, and interactive CDs utilizing cartoons from the Fullpower Teaching Kits above. Entertaining stories make it easy to assess what is and is not safe, and to learn how to say stop. It is available in both a hard copy and an online version. Visit our New Zealand Center for more information.